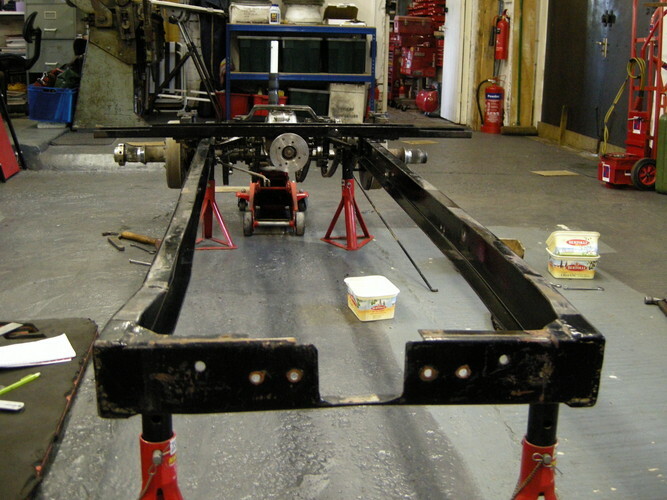 NU 5631 came to us having suffered the ignominy of having its front axle removed by a modem vehicle which failed to stop at a crossroads in Derbyshire. 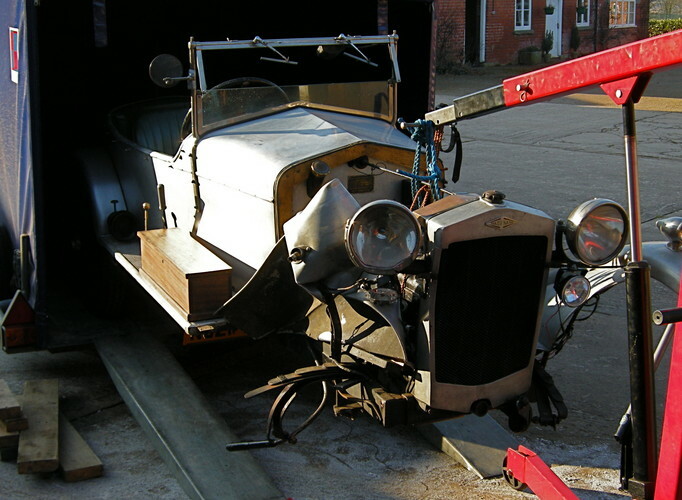 Fortunately, the owner was unhurt but not so the car having ground to a halt on its oil pump with its chassis twisted and the front end extensively damaged. 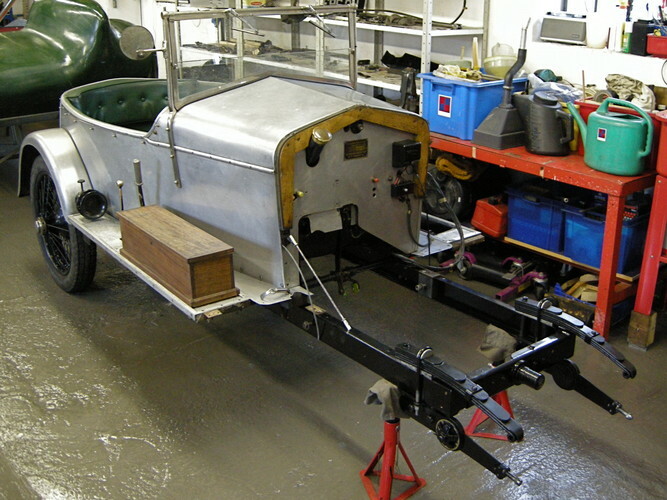 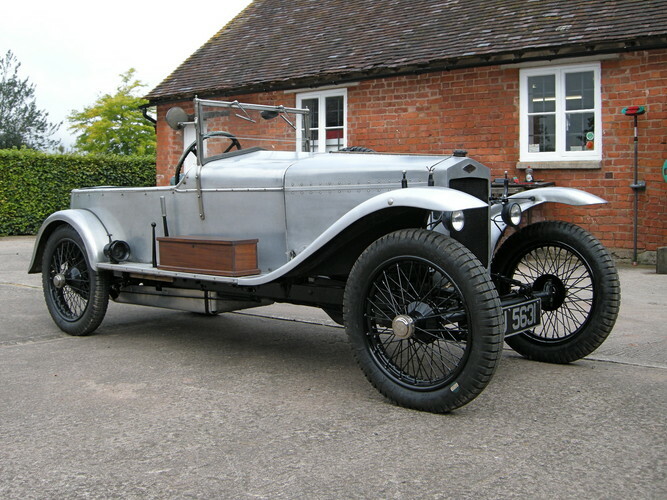 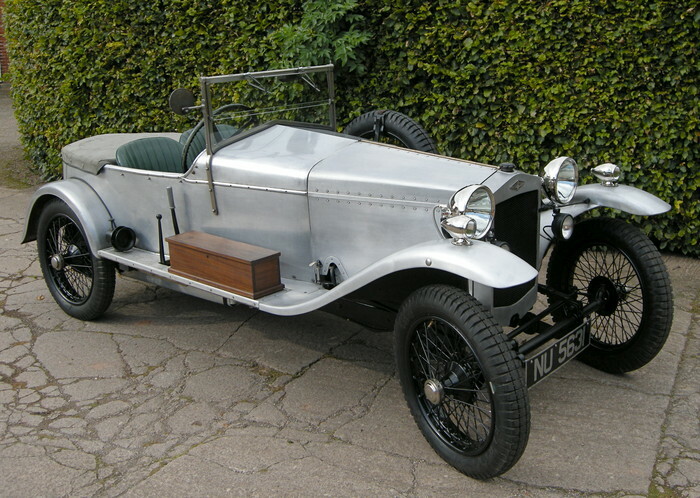 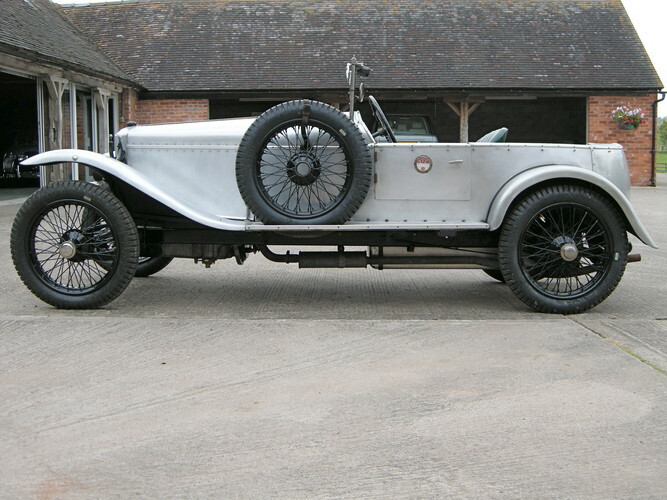 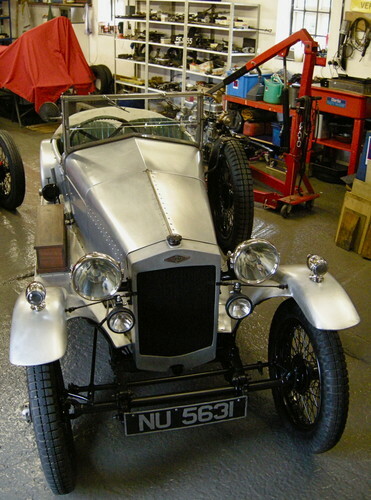 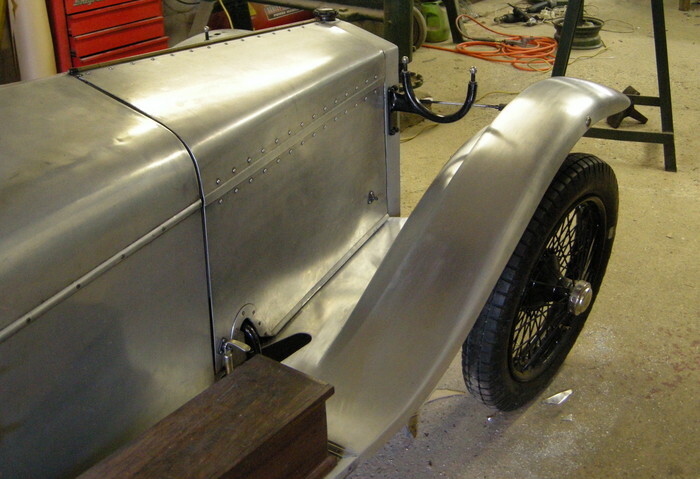 As an ex-demonstrator built for Archie Frazer-Nash, it was of utmost importance to rework and repair as many of the damaged items as possible. 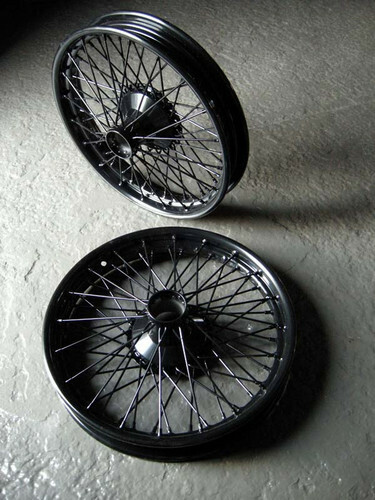 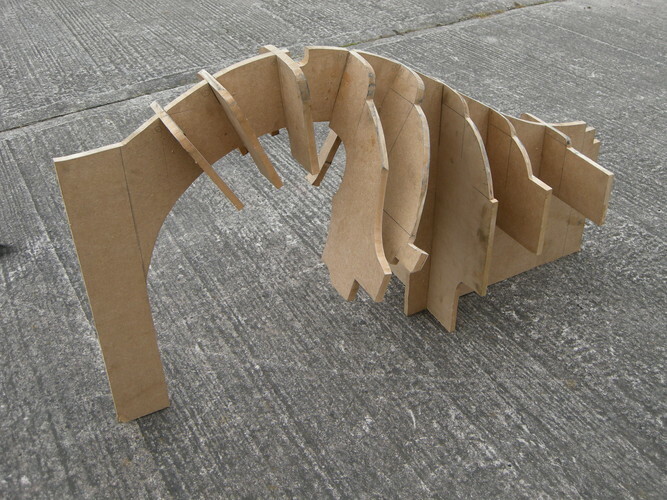 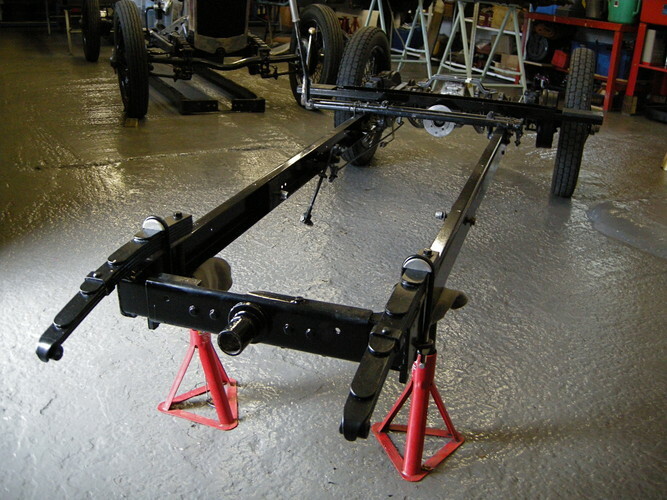 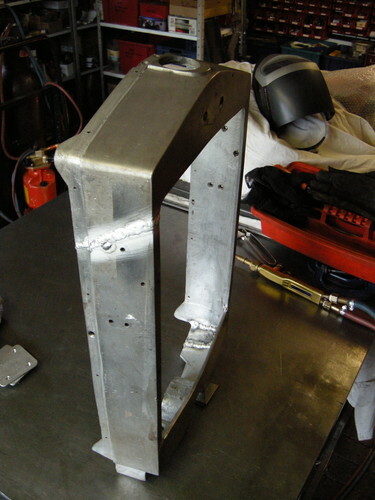 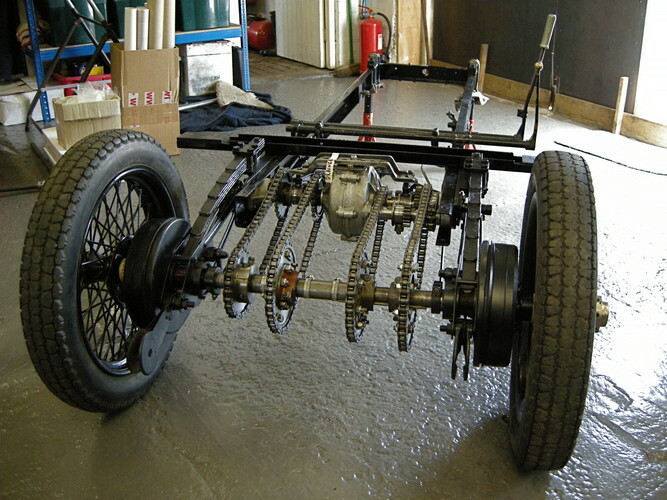 A new front axle tube, axle clips, steering arms and front wheels were required, as well as the front wing which would not have satisfactorily repaired. 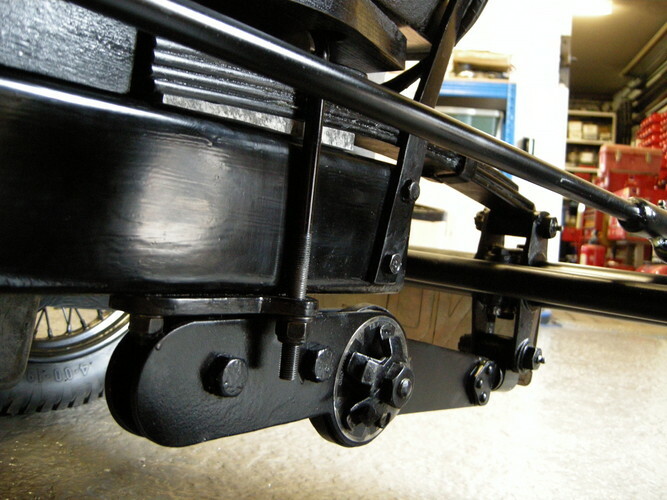 However, the chassis, front springs, radiator and surround and front shock absorbers all repaired to be as good as new. 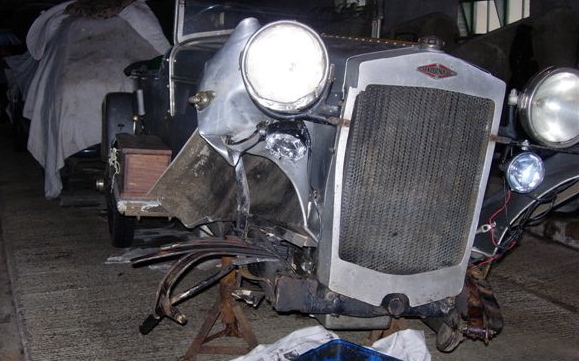 A myriad of smaller items were damaged in the accident, for instance the finned exhaust manifold, but this, along with the huge majority of damaged parts were all repaired, carefully checked and refitted. 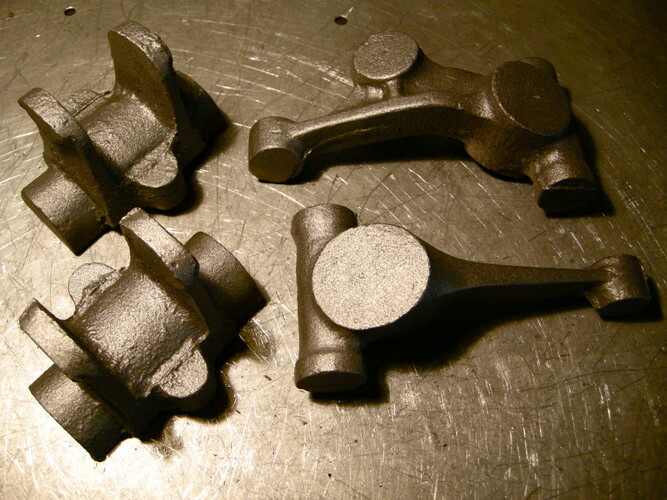 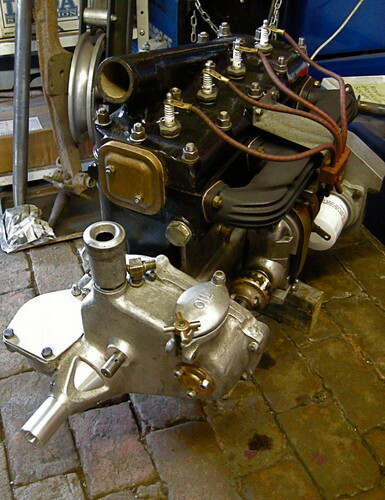 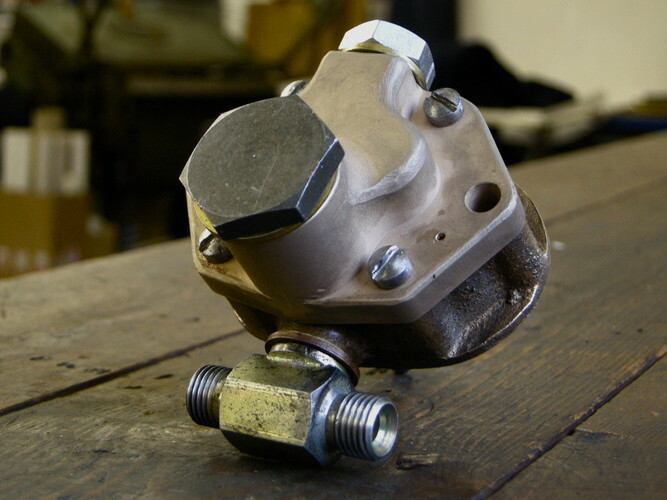 As the oil pump had seized when put to use as a skid, the engine was stripped and found to be in good order apart from the already existing block cracks standard to all Anzanis. 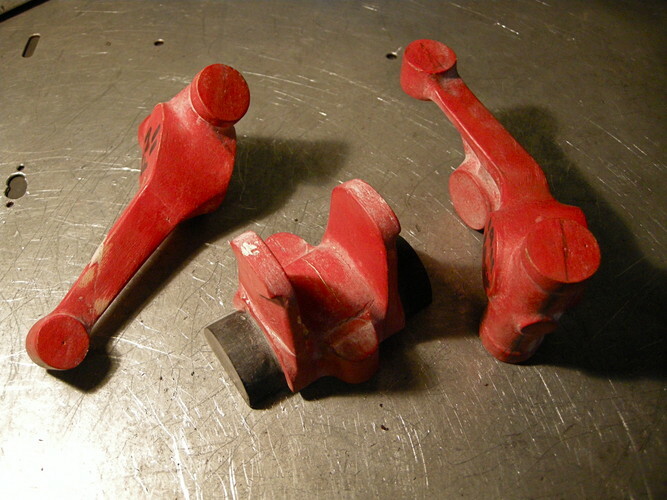 Further attempts were made to repair these and a new oil pump housing machined from solid in the absence of any useable spares. 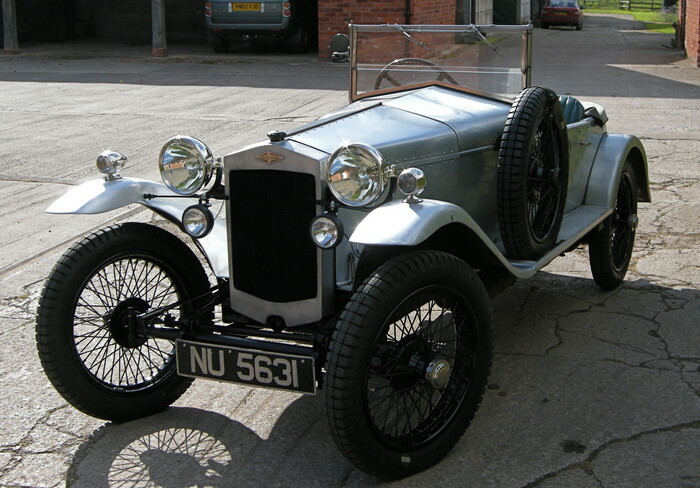 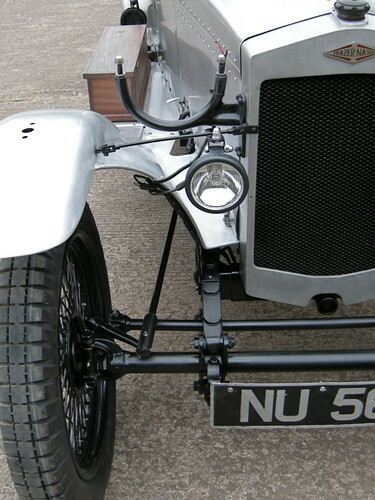 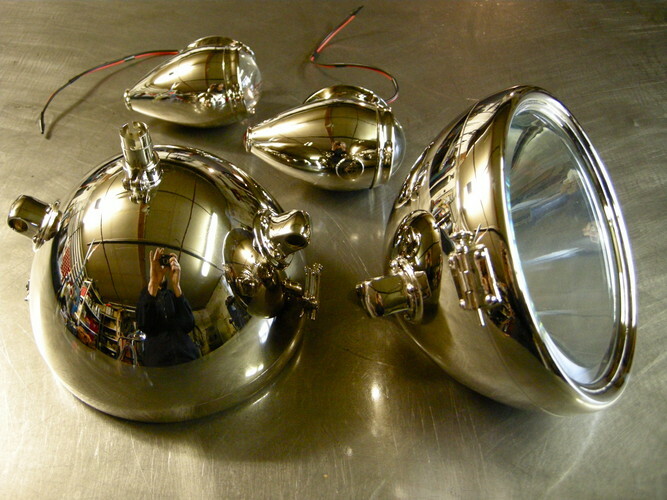 A new set of headlamps and sidelamps completed the rebuild before road testing and delivery. 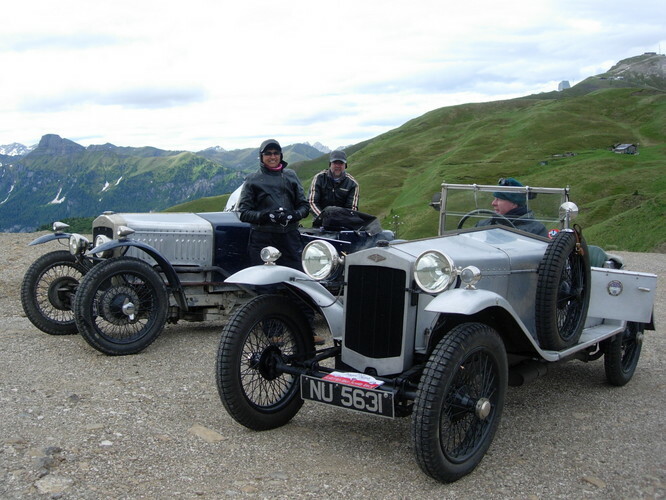 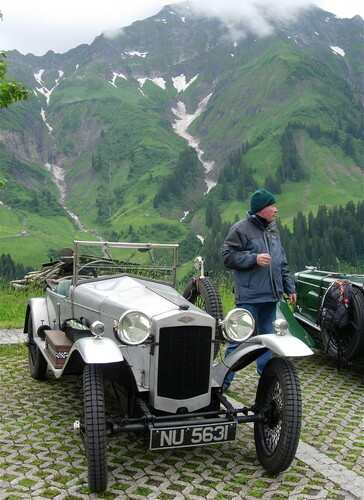 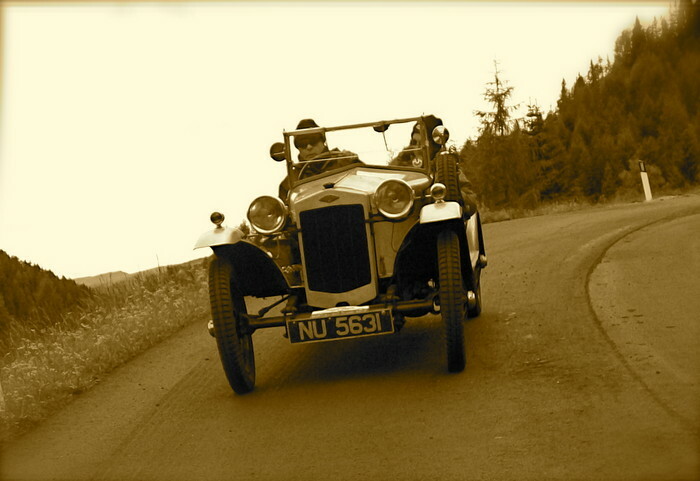 Just months after this, NU5631 successfully took part in the 2009 Frazer Nash Raid to Bolzano, the only car to be given three awards.